Donisi Landscape Construction Co. brings a high level of expertise and workmanship that clients continue to enjoy and show off to friends for years after the project’s completion. A passion for the art of landscaping continues to grow for owner Luca Donisi at Donisi Landscape Construction. Working as a landscaper in Walnut Creek and local areas since 1983, Donisi Landscape Construction has transformed hundreds of yards into beautiful extensions of home living spaces. 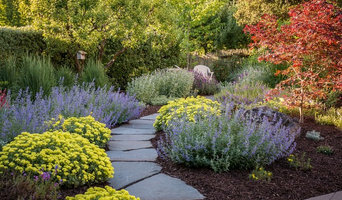 Combining hardscaping elements with the many plants native to the Mediterranean climate typical of the East Bay area is a responsible approach to beautifying properties and one that Donisi Landscape Construction Co. embraces and encourages its clients to adopt. 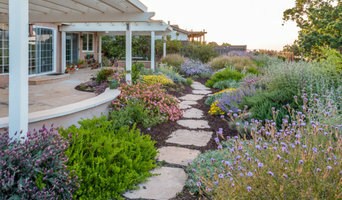 Bountiful Botanicals, Inc. is one of the Bay Area’s leading landscape design / build firms. Our work is deeply rooted in a commitment to both quality and sustainability, combining cutting edge landscape design concepts with environmentally conscious gardening techniques. We specialize in creating spaces for outdoor living that are drought tolerant, deer resistant, and child- and pet-friendly. Each of our gardens is based on a three-tiered philosophy of Design, Install, and Maintain, making our gardens beautiful, practical, and sustainable. A low-maintenance garden is a healthy garden. Our goal as a company is to establish a healthy ecosystem that allows plants to grow and thrive naturally. From the very beginning, we incorporate into our designs various systems to support longevity and minimize maintenance. Establishing good soil with proper nutrients and pH balance provides an essential foundation for plant growth and efficient water use. Cutting-edge irrigation systems reduce time spent hand-watering, and help plants to make the most of the water provided. Featuring drought-tolerant and native plants that require only minimal pruning and ongoing maintenance decreases time needed for plant care in the future. Incorporating sustainable and low-maintenance principles from the outset saves you time and money long-term, and allows you to relax and relish your garden. At Bountiful Botanicals, our three-tiered approach of Design, Install, and Maintain guides our work throughout each phase of your project, creating gardens made to last and enjoyed for many years to come. Custom residential and commercial landscape architectural design and construction for the greater Northern California San Francisco Bay Area. A full service landscape design/build firm established in the 70’s and acquired new ownership in 1991. The company’s mission is to establish a new vision for transforming the vernacular landscape into a native regional design aesthetic. 20+ years of professional office and field experience involving complex design criteria and construction projects. From concept to completion: Medium to large estate-scale residential landscape projects and commercial development. Design /Build Landscape Contractors including residential, commercial, and institutional projects. Knowledgeable and discerning design approach with the ability to address and resolve complex design criteria and challenging projects including alternative materials research, specific project intent, design study and documentation. Extensive knowledge of regional planting of Northern California and the Mediterranean peninsula. 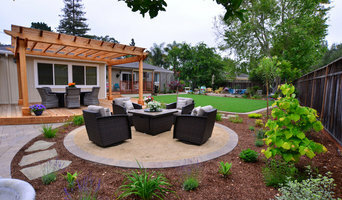 What does a Moraga landscape contractor do? Landscaping contractors execute lawn, garden and hardscaping plans that have been drawn up by an architect or designer. They may also provide design services on their own. After the everything has been installed, landscape companies can make adjustments, maintain plantings, take care of weeds and pests, and perform other tasks to keep the scheme looking its best. A licensed California landscaper should have detailed knowledge of Moraga, CA weather and climate trends and conditions, and can choose plants and materials that are well suited to the area. Residential landscape companies in Moraga, CA also handle many of the same general duties as builders, including arranging for construction permits, hiring subcontractors and making sure that designs comply with California building codes. 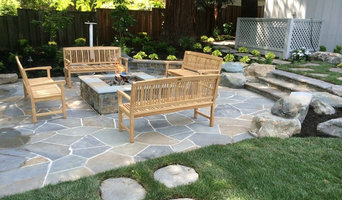 Find Moraga landscaping services on Houzz. 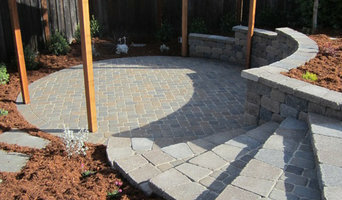 Narrow your search in the Professionals section of the website to Moraga, CA landscape contractors. You may also look through photos of California landscapes to find one you like, then contact the landscaping company in Moraga, CA who worked on it.